Can you imagine living in a time when doctors and accredited midwives were a rare commodity in the Old West? Picture an era when a few doctors hung their shingles and practiced medicine in dusty western settlements but virtually all hospitals were still on the east coast or in metropolises such as Chicago. Many such towns didn't have a doctor and any "doctoring" happened by the most experienced; cowboys generally knew how to manage treatable injuries (do a fair job of setting broken bones and stitching shut slashes caused by barbed wire). Women banded together to assist one another through childbirth. People toughed it out. A lot of folks died. I'm giving away a copy! I'm an amateur historian, and a Registered Nurse. I have the utmost respect for physicians practicing medicine in the nineteenth century. Significant breakthroughs had occurred that made a lot of difference, but these brave pioneers still were forced to rely on their own knowledge, their eyes and ears and rudimentary tools to diagnose and to treat. Today's physicians have it comparatively easy with blood tests and CT-scans and state-of-the-art surgical suites. I wonder what would happen if a doctor from the late 19th century was transported forward to today's medical world--what would he think? But I digress... that's a story for another book. When preparing to write my new release, WANTED: Midwife Bride (contained within Mail Order Bride: A Timeless Romance Anthology), I already knew exactly who my hero would be: Joseph Chandler, MD. In a familiar-to-me frontier town of Evanston, Wyoming Territory (1888). It didn't take long for me to realize why Doc Joe would send for a bride-- not only was he lonely and ready for the next stage in live ("conjugal felicity" which simply means marital happiness and a phrase most common in U.S. newspapers and publications of the day), but he needed help. In 1888, Evanston (a very real place) was a bustling railroad town with all the expected medical challenges: nearby mines with typical miner's problems with their lungs and injuries and cave-ins, Chinese immigrants working for the railroad, railway injuries (everything from crushed fingers when coupling cars to derailments), births, deaths, and all of life in-between. Having driven past the long-closed Wyoming State Hospital in Evanston, I could easily picture the grand campus in relation to Front Street and the original rail depot. 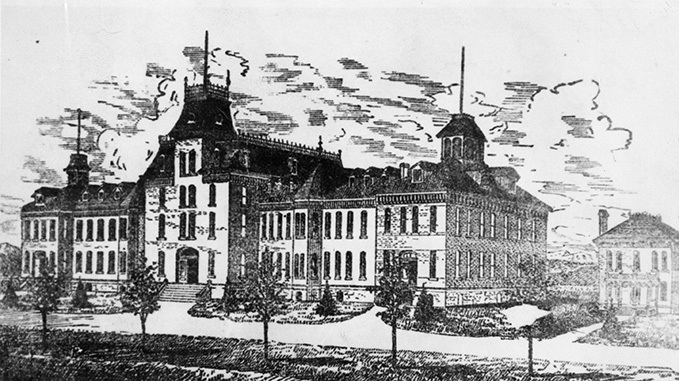 The Wyoming State Hospital, originally called the Wyoming Insane Asylum, opened in 1889. I could easily believe Doc Joe (my fictional hero) would have a hard time finding a qualified business partner to help him with his practice, especially with the Wyoming Territorial Government hiring every willing doctor and nurse to work in the large state hospital to open the following year. At the time of my story, the hospital was under construction and the superintendent, Dr. William A. Hocker, MD, of Evanston was also in charge of construction that began the month my heroine (Dr. Naomi Fairchild Thornton, MD) stepped off the train more than two thousand miles from her point of origin in New York City. Doc Joe needed someone--anyone--who could help him in saving lives. 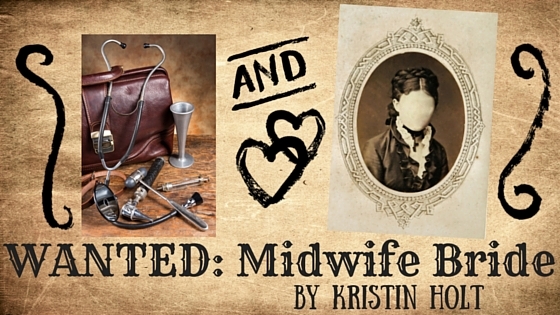 Using the best means available to him at the time, he placed an advertisement for a trained midwife in (my fictional periodical) Midwifery Circular, in hopes of finding a bride who wouldn't faint at the sight of blood. He wanted a bride to fill the vacancy in his life and in his heart, and banked a lot on his plan to install her as a productive helpmate within his medical practice. Frontier town bachelor doctor, age 30, seeks experienced midwife for business partner and marriage. Must be pleasant, cooperative, companionable, and prepared for long hours. Midwifery training and experience more important than age. Prefer age 35 or younger, as children are desired. Reply to Doc Joe, Evanston, Wyoming Territory. When he meets Naomi, she has solid reasons to withhold the entirety of her education, after all, she can safely deliver babies...and when Doc Joe learns his bride-to-be is a medical doctor, he's elated...but she doesn't know that (yet) and is certain he'll send her away. She knows he will. Not only has everything in her life and training to that point convinced her all men see female physicians as an abomination, but that was the consensus throughout the United States in that era. I had a bit too much fun throwing Joe and Naomi together and watching the sparks fly. The entire anthology, including my novella, is "sweet" (wholesome, clean, "proper") romance. Dr. Naomi Thornton thinks she has it all: a beautiful house, a loving husband, and a fulfilling career. But when everything she holds dear is ripped away, Naomi has no choice but to start over. What will she find in the wild and untamed Wyoming Territory? Dr. Joe Chandler has waited years for a wife with the knowledge, skills, and tender heart he yearns for in a medical colleague and lifetime companion. When a midwife arrives with more expertise and secrets than he counted on, Joe quickly discovers there’s more to love and marriage than a simple mail order contract. 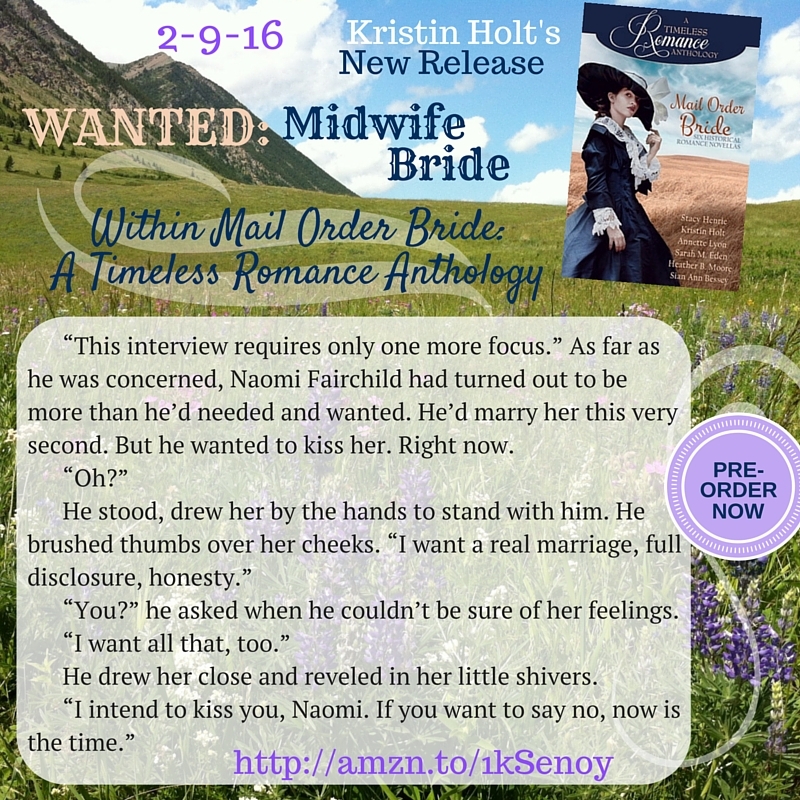 My story, WANTED: Midwife Bride is just one of six short novellas (15K words or less) contained within the box set Mail Order Bride: A Timeless Romance Anthology. The whole set of six short novellas runs 322 pages according to Amazon. The set will be available on all major eBook retailers' websites on release day: 2-9-16. As of today, the book is available for preorder on Amazon and may be read on any kindle or virtually any device with the kindle app. This title is available in eBook format only (for at least six months), is published by Mirror Press, and this title is #16 in the Amazon #1-ranked series in Clean Romance. The winner will be announced, also in the comments section, tomorrow morning 2-6-16, by 8 AM PST. You may do well to check the box "notify me" so you're aware if YOU are the lucky winner when I post the name I draw. The winner must be willing to provide their email address to me, Kristin Holt, in order to receive their gift copy of this $4.99-value anthology. Please stop in at www.KristinHolt.com for frequent fresh articles (blog posts) about all things nineteenth century with special focus on the Victorian American West. This sounds great. I love your books, Kristen! I love reading all the interesting plots that such creative authors like yourself come up with for a woman to become a mail-order bride. I know it still exists today in some areas, but it took so much courage back then. I also love reading about the details of the way they lived in this era. I am an ex-history high school teacher. This era is my favorite. I also write TV scripts, and I'm currently writing a Western pilot. I love learning any detail about this time that I did not know about. Thank you, Connie! It's so good to hear from you. Isn't it fascinating to learn how things worked in our favorite historical eras? I've recently discovered the ease of searching historical newspapers for bits of information I need-- and the matrimonial market has become my new favorite topic of fixation. Many thanks for your kind comments and compliments about my books. You've made me smile! Oh this story sounds Awesome. Mail order bride books intrigue me for the simple fact if the adventure in it along with the old pioneer history entailed in them. Thanks, Betty! I love MOB (mail order bride) books for these reasons, too. Thanks for stopping by. Can't wait to read this. It sounds very interesting. I've often thought the same thing... the sheer bravery of women who would travel farther than they ever had in their lives, to meet and marry a man unknown to them, in a day and age without protections we enjoy now (like phone communication to family members or private investigators). Hello I love reading mail order bride stories, because of the adventure the people in the story are going on. Meeting and marrying a person the just met, whether for survival or to start a new life. You never know what exactly will happen. I love reading about mail order brides because they were such strong woman. They never now for sure what they are getting into, they take that chance on love and move forward. Such courage! To "Unknown": Thank you! I'm glad you've found enjoyment and the joy of reading in my books. Music to any author's ears. 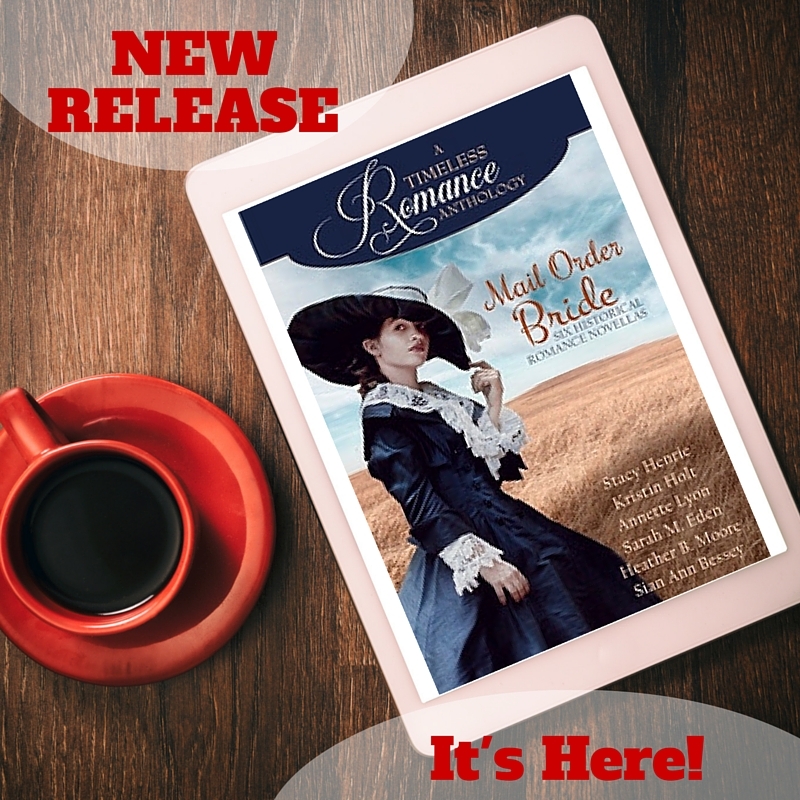 I have really enjoyed the mail order bride books that I have read! 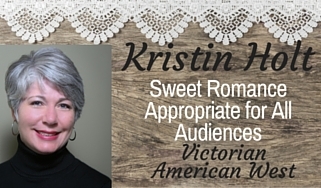 I have always liked historical fiction and enjoy seeing how people get to know each other and fall in love. It's the small things... A touch, a look, a smile. This really shows in the MOB books since they are complete strangers. Thank you, Mindy. Perfect! I agree. Enjoying the journey as a couple falls in love is one of the big reasons why Romance is appealing (to me and so many others). So true! Thank you for stopping by and your thoughtful comments. I would to agree with most the comments, there nothing more exciting read then about mail or brides. Plus I love historical romance. Thanks for stopping by, for reading and commenting! I love the magical days of history and the romances and love stories that naturally fit--just like you do. This sounds like an exciting read! I love reading mail order bride books. There is just something about these brave ladies setting out to find love and better situations. Very well said! Thank you so much for stopping by, reading, sharing, and joining the conversation. You're right...in some areas of the country, folks were simply happy to have a credible, capable doc around. =) Your lady docs in Colorado were VERY lucky with the equality they experienced. My heroine, Naomi, finds Evanston, Wyoming Territory, 1888 to be a perfect fit for her. She's finally welcome, finally accepted, and finally feels at home. Isn't that what we all want? Thank you, kindly, for your contributions. As the others I too enjoy reading about mail order brides. These women traveled agreed to adventure and hoped for the best. I think that is what is so inspiring. They all hoped for something more, often leaving the worst of circumstances. 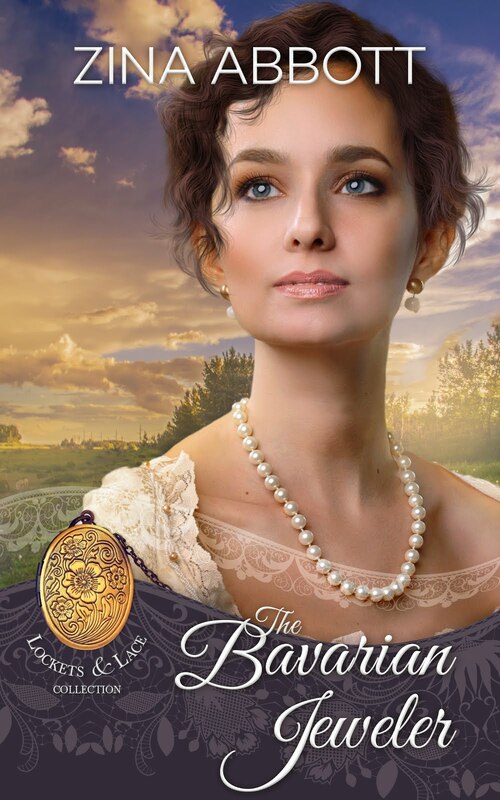 I really enjoy curling up with a historical romance and 'escaping.' For me a book is better than a movie. And a good book will leave me thinking and retelling the story in my head to digest it. 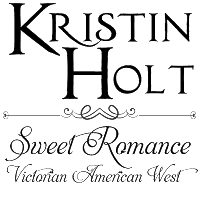 I am looking forward to your new release Kristin!! You and I are kindred spirits-- "cut from the same bolt of cloth" as my great-grandmother would say. I, too, love curling up with an historical romance and 'escaping'. I call it "hiding in fiction". =) Like most authors, I write what I genuinely want to read. And the 19th century Old West calls to me more than any other. I thoroughly enjoy the setting and magic and challenges of the era. Like you, I'm all about books (instead of movies). the mail order bride is probably my favorite of all books. I love the history we garner from the books and the trials and tribulations our ancestors went thru. I dont think I could have done what those brave and strong women had to do to survive. I never really thought how hard it had to be for them as women and restricted in every area of their life. We have it so different today. We can do anything we want and be anything we want to be. Many thanks your contribution to the conversation! Sarah, Plain and Tall might possibly be one of the BEST examples of enduring MOB (mail order bride) stories. I loved the books, enjoyed the movie(s), and have recently ordered a copy of the movie to watch again and again. 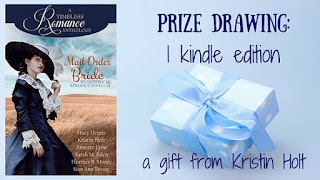 ANNOUNCEMENT OF WINNER OF GIFT COPY (MAIL ORDER BRIDE: A TIMELESS ROMANCE ANTHOLOGY), KINDLE EDITION, to be awarded on Tuesday morning, 2-9-16 (release day): The winner's name, drawn on 2-6-16, is MINDY CLAYTON! Mindy, please contact me either through the contact link on my website [www (dot) KristinHolt (dot) com] OR by emailing me: Kristin (at) KristinHolt (dot) com. In order to award your kindle copy through Amazon, I need your email address (hence the request for an email from you). Please advise in the email if you don't read kindle books and need a substitute (such as for Nook). CONGRATULATIONS to Mindy! One other important tidbit I forgot to share: Everyone has one more opportunity for a gift copy of this anthology this coming Tuesday morning (release day, 2-9-16). Please return to Sweet Americana Sweethearts (www.SweetAmericanaSweethearts.blogspot.com) for BLOG TOUR TUESDAY when this entire anthology is featured and I'm giving away yet another copy to one winner. Responding to this post in no way disqualifies you from entering again. Unless you've already won a copy, you can enter next Tuesday. Please drop by then for another chance to win. MEDICINE ~ TEXAS STYLE & a GIVEAWAY!